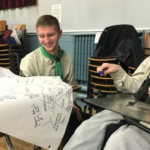 We are a Scout Group for young people with physical disabilities and life limiting conditions aged 7 to 25. 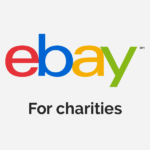 Our group operates with a dedicated team of volunteers who provide one to one support for all our young people as well as leading aspects of the programme, health and safety, personal care, fundraising, transport and looking after all our equipment. We have been around for more than 80 years, so we have a huge amount of experience dealing with many differing types of physical disabilities including Muscular Dystrophy, Cerebral Palsy, Spina Bifida, visual impairment and many others. We are part of a worldwide movement of over 30 million young people who take part in adventure each week. 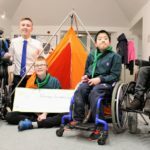 Glasgow Disabled Scouts is specifically set up to make sure young people with physical disabilities don’t miss out on these adventures. We give young people experiences they will remember for their entire lives – from adventurous activities like canoeing, abseiling and archery to achieving badges, learning new skills and opportunities to push themselves to achieve their full potentials with one to one support from our volunteer leaders. You can find out about our Principles of Care here which are the basis on which we provide the care and support for every young person in the Group. If you would like to find out about joining the group as a young person please click here to read some information about joining and fill in a ‘Want to Join’ form.